Where To Get The Good Stuff - Enlightened Solutions Ltd. - Paleo Nutrition - Designed By Nature. OK. So you are thinking that maybe you should give this thing a shot. Where do you get farm raised, grass fed, pastured or organically grown foods? Located in St. Albert, AB Untamed Feast is a purveyor of fine gourmet mushrooms. These edible species cannot be farmed or cultivated, but must be hand gathered the old fashioned way from secret and remote spaces. Visit their website to browse their product selections, see where to get them (or conveniently order on-line), check out some recipes or scope out upcoming events. 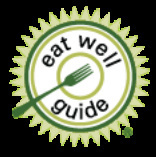 The Eat Well Guide is a free online directory of sustainably raised meat, poultry, dairy, and eggs from farms, stores, restaurants, inns, and hotels, and online outlets in the United States and Canada. And for Edmonton locals... YES, there are several listing for farms, farmer's markets, stores and restaurants. We have ordered grass fed beef and pork products from TK Ranch. Their excellent products were delivered right to our house in Edmonton, AB by the nicest farm family you have ever met. Suppliers of grassfed beef and lamb, pastured pork and free range chicken and turkeys, TK Ranch products are also available at select retailers in Edmonton and Calgary. Located southwest of Coronation, in the "Special Areas" of Alberta, they have a great website with tons of information. Become a member of The Organic Box, and receive a weekly or bi-weekly delivery of seasonal, organic fruits and vegetables from local and non-local organic farms and distributors.